Dr. Victoria Brander is a board certified physician in Physical Medicine and Rehabilitation, concentrating in the treatment of arthritis, joint pain, pain management, osteoporosis, aging athlete issues, spinal stenosis, and rheumatologic rehabilitation. She is on staff at Northwestern Memorial and St Joseph Hospitals and has been Named by Chicago Magazine as one of America's leading physicians, she concentrates on effective pain management and improving the quality of life for her patients. 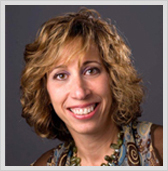 Additionally, her clinical work with Northwestern Orthopaedic Institute, she is a Professor of Clinical Orthopaedic Surgery at the Feinberg School of Medicine, where she has been named Research Mentor of the Year. In addition, she is a Visiting Professor in the Department of Orthopedic Surgery and Rehabilitation in the West China Hospital of Sichuan University Chengdu, China. She is frequently invited to lecture on the topics of arthritis and its related treatments at academic and clinical institutions. An award-winning researcher, Dr. Brander has presented findings at medical conferences throughout the United States and abroad. She has leadership roles in a variety of national organizations related to the practice of Physical Medicine and Rehabilitation, serves on the Board of Directors of the Arthritis Foundation, and has authored numerous publications on the topics of arthritis and joint reconstruction. She is also the co-author of Arthritis of the Hip and Knee: The Active Person's Guide to Taking Charge. Dr. Brander is a consultant to the National Institutes of Health and a regular contributor to CBS news and WTTW. In addition to all of these accomplishments, Dr. Brander also takes special pride in her leadership role with Operation Walk Chicago, through which hundreds of total joint replacements and physical rehabilitation treatments are annually preformed free of charge in impoverished areas throughout the world. She earned her medical degree from Northwestern University's Feinberg School of Medicine and completed her Residency in physical medicine and rehabilitation at Northwestern Memorial Hospital and at the Rehabilitation Institute of Chicago, during which she served as Chief Resident. Brander V, Gondeck S, Martin E, Stulberg SD, “Pain and Depression Influence Outcome 5 Years after Knee Replacement Surgery.” Clinical Orthopaedics and Related Research. 2007 November, 464: 21-26.